Recently I’ve become interested in the effects of a particular mutation. The mutation is a single nucleotide polymorphism (SNP) in a protein called Adenosine Monophosphate Deaminase 1 (AMPD1). In this case, the nucleotide base at this position was supposed to be a “C” (cytosine), but it’s been changed to a “T” (thymine). This single letter mutation has been called “the most prevalent genetic disease mutation”, at least in Caucasians1. In fact, another study found the mutant allele (meaning just having one copy of the mutation, instead of two) in 12% of Caucasians and 19% of African-Americans2. The effect of this SNP is to change a codon (an instruction for a particular amino acid) into a stop signal for constructing the AMPD1 protein. So for people who inherited this mutation from both parents, there will be no AMPD1 protein in their body… almost. In actuality, there is a “mini-exon” which actually contains the mutation, and in most organs and tissues, this exon is excluded from the protein. This means that in most organs and tissues the protein still exists. The version of the AMPD instructions (the mRNA) that contain the newly made stop signal is mostly expressed in skeletal muscle, and in fact, even 0.6-2% of the protein in muscle skips the exon, so there will be a tiny amount of this protein present in some people with this mutation3. This is hypothesized to be why many people with this mutation never notice any symptoms of muscle soreness. So, this mutation primarily manifests as a missing enzyme in muscle cells. Perhaps for this reason, most of the research on this mutation has been in exercise science. The symptoms are typically listed as muscle pain or cramps after exercise, and people are considered asymptomatic if they don’t present these symptoms4. Part of the purpose of this post is to demonstrate why I think the symptoms of this mutation could be more broad than expected, and that many people don’t notice or suspect the symptoms because the effects can be more subtle than muscle soreness. I’ll go into some details on how Adenosine functions in the body, but to some degree it can be intuitively understood by anyone who has some familiarity with Caffeine. If you drink coffee regularly, and you go without, you feel the effects of too much Adenosine pretty quickly. Over time, Caffeine consumption causes: a 20-30% increase in the number of receptors (sensors in the body) for Adenosine8; increased sensitivity of Adenosine receptors9; and increased concentration of Adenosine in the blood10. These are all thought to arise as the body’s mechanism for responding to blocked signals to Adenosine receptors, which is the mechanism by which Caffeine works (and makes you feel stimulated). So if you’ve ever felt that “need a cup of coffee so so bad” feeling, you’ve felt something akin to the acute effects of too much Adenosine. So what’s the point of Adenosine anyway? In this figure, the blue line represents the amount of Adenosine in the blood (or more importantly, available to the brain). As time passes in a wakeful state, “sleep pressure” or sleep load builds up, and is relieved by sleeping. The sensations of sleepiness, and the other effects of sleep deprivation, are partly due to the effects of Adenosine on its receptors. Fredholm, Bertil B., et al. “Structure and function of adenosine receptors and their genes.” Naunyn-Schmiedeberg’s archives of pharmacology 362.4-5 (2000): 364-374. This is where it gets interesting. As I mentioned before, much of the literature published about AMPD1 deficiency only discuss muscle soreness and damage as the effect of this mutation. However, there are some other studies out there that have observed other interesting effects. Many studies have found a cardioprotective effect in possessing the AMPD1 mutation, and some have even found better recovery after heart surgery6,19-20. This is consistent with elevated levels of Adenosine in cardiac tissue, which itself is consistent with the observed levels of AMPD1 in tissue: high AMPD1 in skeletal muscle, AMPD2 everywhere else, but AMPD1 and AMPD2 expressed in cardiac tissue21. The C34T AMPD1 genotype was found to be significantly less common in patients with diabetes in one study22, and to also be associated with lower prevalence of diabetes, lower blood pressure, waist circumference, waist to hip ratio, and BMI 23. As well, another study found that in mice that had developed insulin resistance, disruption of AMPD1 activity lead to a less severe state of insulin resistance, improved glucose tolerance, and enhanced insulin clearance24. This is interesting, and also consistent with the effects of Adenosine on insulin sensitivity (though not conclusive). This time, blue still represents the level of Adenosine in a healthy patient, but now the red line depicts how Adenosine levels might increase in an AMPD1 mutant. If the rate of Adenosine generation is higher, then perceived sleep need would also rise more quickly in these patients (and possibly even high enough to be insufficiently dealt with by a night of sleep). Furthermore, exercise would likely make this acutely worse, as the sudden spike of ATP use in skeletal muscle would lead to a spike in Adenosine levels. People with this mutation might prefer exercising in the evening, rather than the morning. Really good sleep and afternoon naps might be the best way to reduce Adenosine and manage fatigue, without side effects. Symptoms are likely to be variably dependent on environment, because a partial recovery of functional AMPD1 can occur (at ~2% concentration) due to alternative splicing. Due to the variable nature of the symptoms, and the effects of caffeine consumption, I suspect many people do experience symptoms, but don’t think to associate them with any particular cause. Genetta, Thomas, et al. “A novel bipartite intronic splicing enhancer promotes the inclusion of a mini-exon in the AMP deaminase 1 gene.” Journal of Biological Chemistry 276.27 (2001): 25589-25597. Morisaki, Takayuki, et al. “Molecular basis of AMP deaminase deficiency in skeletal muscle.” Proceedings of the National Academy of Sciences 89.14 (1992): 6457-6461. Morisaki, Hiroko, et al. “Alternative splicing: a mechanism for phenotypic rescue of a common inherited defect.” Journal of Clinical Investigation 91.5 (1993): 2275. Gross, Manfred. “Molecular biology of AMP deaminase deficiency.” Pharmacy World and Science 16.2 (1994): 55-61. Kalsi, Kameljit K., et al. “Decreased cardiac activity of AMP deaminase in subjects with the AMPD1 mutation—a potential mechanism of protection in heart failure.” Cardiovascular research 59.3 (2003): 678-684. Sabina, R. L., et al. “Myoadenylate deaminase deficiency. Functional and metabolic abnormalities associated with disruption of the purine nucleotide cycle.” Journal of Clinical Investigation 73.3 (1984): 720. Marangos, Paul J., Jean-Philippe Boulenger, and Jitendra Patel. “Effects of chronic caffeine on brain adenosine receptors: regional and ontogenetic studies.” Life sciences 34.9 (1984): 899-907. Green, Richard M., and Gary L. Stiles. “Chronic caffeine ingestion sensitizes the A1 adenosine receptor-adenylate cyclase system in rat cerebral cortex.” Journal of Clinical Investigation 77.1 (1986): 222. Conlay, Lydia A., Jeffrey A. Conant, and Richard Wurtman. “Caffeine alters plasma adenosine levels.” Nature 389.6647 (1997): 136-136. Bjorness, Theresa E., and Robert W. Greene. 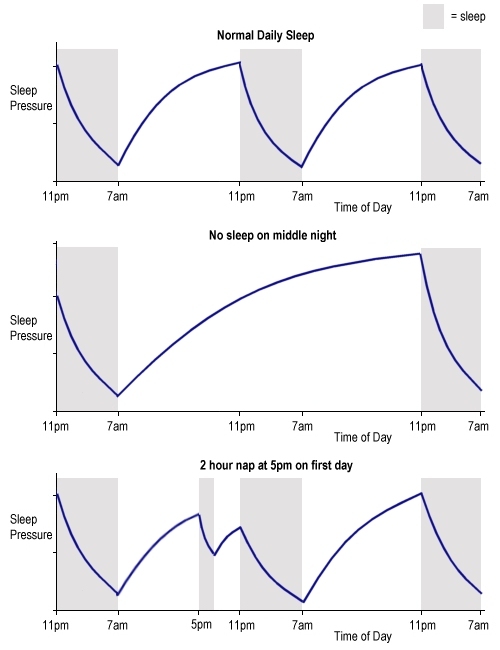 “Adenosine and sleep.” Current neuropharmacology 7.3 (2009): 238-245. Porkka-Heiskanen, Tarja, et al. “Adenosine and sleep.” Sleep medicine reviews 6.4 (2002): 321-332. Liu, G. S., et al. “Protection against infarction afforded by preconditioning is mediated by A1 adenosine receptors in rabbit heart.” Circulation 84.1 (1991): 350-356. Kara, Firas M., et al. “Adenosine A1 receptors regulate bone resorption in mice: Adenosine A1 receptor blockade or deletion increases bone density and prevents ovariectomy‐induced bone loss in adenosine A1 receptor–knockout mice.” Arthritis & Rheumatism 62.2 (2010): 534-541. Ohta, Akio, and Michail Sitkovsky. “Role of G-protein-coupled adenosine receptors in downregulation of inflammation and protection from tissue damage.” Nature 414.6866 (2001): 916-920. Joost, HANS-GEORG, and HANS-JURGEN Steinfelder. “Modulation of insulin sensitivity by adenosine. Effects on glucose transport, lipid synthesis, and insulin receptors of the adipocyte.” Molecular pharmacology 22.3 (1982): 614-618. Yazaki, Yoshikazu, et al. “A common variant of the AMPD1 gene predicts improved survival in patients with ischemic left ventricular dysfunction.” Journal of cardiac failure 10.4 (2004): 316-320. Loh, Evan, et al. “IS173 AMPD1 Genotype Predicts Survival in Patients With Heart Failure.” Japanese circulation journal 64 (2000): 174. Morisaki, T., R. L. Sabina, and E. W. Holmes. “Adenylate deaminase. A multigene family in humans and rats.” Journal of Biological Chemistry 265.20 (1990): 11482-11486. Safranow, Krzysztof, et al. “AMPD1 gene mutations are associated with obesity and diabetes in Polish patients with cardiovascular diseases.” Journal of applied genetics 52.1 (2011): 67-76. Safranow, Krzysztof, et al. “Association of C34T AMPD1 gene polymorphism with features of metabolic syndrome in patients with coronary artery disease or heart failure.” Scandinavian journal of clinical and laboratory investigation 69.1 (2009): 102-112. Cheng, Jidong, et al. “AMPD1: a novel therapeutic target for reversing insulin resistance.” BMC endocrine disorders 14.1 (2014): 1. Ramakers, Bart P., et al. “Effects of the 34C> T Variant of the AMPD1 Gene on Immune Function, Multi-Organ Dysfunction, and Mortality in Sepsis Patients.” Shock 44.6 (2015): 542-547. Perumal, Madhusoothanan B., et al. “Hypersomnia with dilated pupils in adenosine monophosphate deaminase (AMPD) deficiency.” Journal of sleep research 23.1 (2014): 118-120. Buyse, Bertien, et al. “Possible influence of AMPD1 on cholinergic neurotransmission and sleep.” Journal of sleep research 25.1 (2016): 124-126.